Gorgeous Black Rice Salad from the new Esselstyn cookbook. Holy healthy head of the table. My breakfast companions at the recent McDougall Advanced Nutrition Studies weekend were Ann and Dr. Caldwell Esselstyn. This means I not only found out that Dr. Esselstyn prefers oatmeal and wheat biscuits to potatoes at breakfast (me too! ), but with Ann seating at my left, I heard the buzz about a new cookbook coming down the pike. Guess what arrived in today’s mail? Fresh out of the mailing envelope – I was ready to dive in right away. 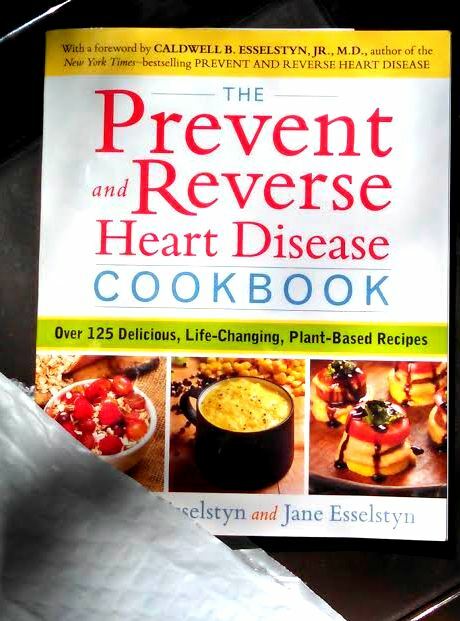 With the official title of The Prevent and Reverse Heart Disease Cookbook: Over 125 Delicious, Life-Changing, Plant-Based Recipes, Ann Esselstyn’s book is co-authored with Jane Esselstyn, R.D. Cookbooks can be tough – in so many ways. And believe me, I have a whole new respect for cookbook authors even with the small bit of recipe testing and write-ups I’ve done for The Plant-Based Journey. If you’re going to include photos in a recipe book, they have to be good. I’m sure you too have seen cookbooks where the pictures of the food are under par – where the food looks dull and slightly out of focus. Kind of like all the cookbooks were when we were kids. Well, this one is part of the new breed. Gorgeous Black Rice Salad stands on its own as a complete meal. I opted to serve last night for dinner with a few chunks of seasoned tofu on top. 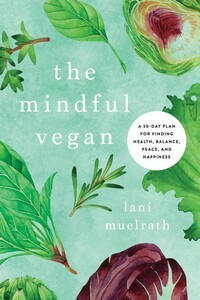 Also included is a foreword by Caldwell B. Esselstyn, Jr., M.D., and an introductory session by Ann and Jane with plant-based basics. But primarily this book is about the food. I couldn’t wait to dive into a recipe (it was hard to pick where to start) so I could tell you more about it. Realizing I could use some new ideas in the salad department, I settled on the Gorgeous Black Rice Salad. Besides, it looked too gorgeous and unique not to dive into right away. 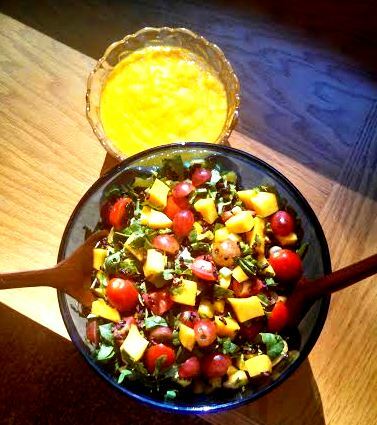 Never in a million years would it have occurred to me to put tomatoes, grapes, mango, and arugula together in a salad. With the black rice as backdrop, not only does this recipe (page 154) deliver on taste, it presents a stunning visual. 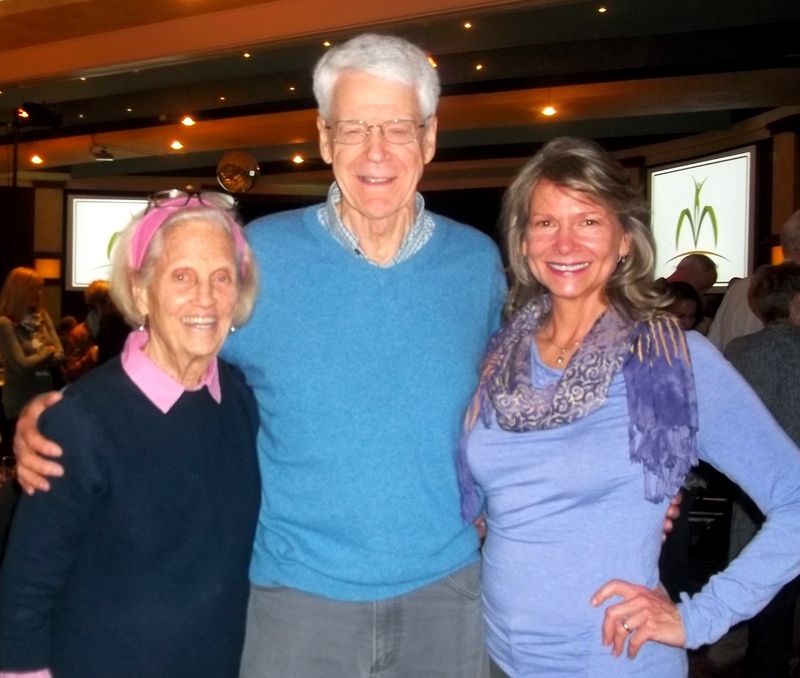 With Ann and Dr. Caldwell Esselstyn at the McDougall Advanced Study Weekend. Entry in the drawing is easy. Simply leave your reply to the following question in comments below. Which category – from The Prevent and Reverse Heart Disease table of contents – could use a new addition in your kitchen: Breakfasts, Lunches, Soups, Hummus, sauces, spreads, gravy, and salsas, Appetizers and sides, Salad dressing, Dinners, or Desserts – and why? Winner will be drawn randomly fron all entries entered by Wednesday, August 21, 2014. The drawing will take place on Thursday, August 22. As for me, I’m eyeing the Jalapeno and Salsa Corn Muffins to try next. Can’t wait to hear your thoughts! And get a copy of The Prevent and Reverse Heart Disease Cookbook: Over 125 Delicious, Life-Changing, Plant-Based Recipes into your hands. You can also preorder the book HERE. P.S. Be sure that you have entered your email address correctly so that I can be sure to contact you if you win the drawing! Oh my, that salad looks beautiful! I love what you did with it! For my contest entry – what I need is new salad dressing ideas. I keep using the same old thing and though it works for me, it would be nice to have some new ideas for the family. Thanks for posting this Lani! I would like more recipes for sauces or gravy on steamed veggies so my husband & I will eat more vegetables. I am desperate for Salad dressings. Ones I could make ahead and store in the fridge. I picture pretty jars with labels on them that I could set out on the table. Am I dreaming or can you help? Well, I would never have thought of that combination either, but you sure make it look good! I need new ideas for breakfast. We’ve got fammily coming for a stay early September and I’d like to have something new to offer – maybe those muffins you mention in the article! I love to try new recipes in all the categories. I think probably soups are my area of need, although it is too warm right now to be thinking about soup! But I love them in winter, and I don’t seem to be very good at creating my own. Salad dressings! I need salad dressings! I’m always looking for new desert ideas to wow my omni friends, who don’t believe it’s possible to cook without animal products and oil. Definitely dinners! I’ve been resorting to the same old recipes and boring myself and my husband with the few recipes I’ve perfected. When I try something new that he doesn’t relate to, I usually get complaints. Thanks so much!! Love the Essy’s and I’m a big fan of yours, too! Breakfast-I tend to have a big bowl of oats every day. I need some variety! I need dinner ideas badly. My husband has high BP and he has tried 3 different meds and none of them are working for him. I am nutritarian and I have told him if he would quit meat I could lower it. He said if I can make good meals that are filling then he will convert to my way of eating. I’m not sure what category the cornbread muffins and biscotti are included in but those are the kind of recipes I’m looking for. Everything sounds so creative and delicious. I am excited about this cookbook AND for finding this site because I was following this cookbook. I honestly think I would benefit most from sauces. I love rice, potatoes, and other grains, but I honestly used to use some sort of fat to make my foods more palatable and wet. Now, I am at a loss and tend to use the same toppings repeatedly. Look forward to trying some new and different sauces soon! I need help with lunch! The cafeteria at work has very few good options and I don’t plan ahead well! HELP! The sauces! Im always looking for ideas of yumminess for my family to enjoy with my veggies and starches! Gravy is what I need help with. It would be great to add some healthy gravy recipes to our meals. Dinners. I can always use more WFPB dinners for myself, my non-pb husband and my kids. Would love salad and dressing recipes. Looking forward to this and dessert recipes. Challenged by trying to prep dessert recipes tasty, filling dessert recipes without repeating old favorites, and keeping them truly heart healthy. Dinners…it’s the only meal we eat together. Things that are quick for a hungry family. Salad Dressings is the category I need help with. I tend to rely on one or two recipes or grab a bottle in the grocery store. I’d like more truly healthy salad dressing recipe favorites for my family. Salad dressings! I love to switch it up with oil free recipes for my salads. I’m so excited about this book. I just love Jane and Mary. I have to pack three adult sized lunches, 6 days a week, and I’m tired of hummus wraps. I need very quick, easy lunch ideas. I need help with Dinner. It seems like every dinner time I fall short. Hubby deserves a good heart-healthy dinner that will lower his cholesterol which is high. Soups, because soups and stews are what keep us alive and healthy! I’d love some new ideas for breakfast. I love savory breakfasts! I’d skip the pancakes gladly for some tofu chilaquiles. I need inspiration from the sauces category. I am determined to find great- tasting salsas and sauces that I can make. No more processed sauces for me if I can make a better one myself! I could use some variety at breakfast. And healthy desserts are always a plus! Thanks for the chance to win! Definitely soups. I make the same 2 all the time and really need some new ideas! I really would like some breakfast recipes. It’s always the same, and I’m starting to skip breakfast because of it. Dinners would be of most interest to me – I pretty much just do a big pot of soup for lunches every day and oatmeal is my staple breakfast. But I am SO looking forward to this cookbook – I admire the Essylstyns so much. Thanks for the fun giveaway!! I would have to go with lunches! I am boring and most days just have a salad & baked potato! I need some more inspiration! I need more breakfast ideas – I tend to get in a rut very easy and need more creativity! I need more ideas for breakfast! I’m so excited for the new book! The category I’m looking forward to is desserts because I’d like to make desserts on special occasions for my entire family and to bring to holiday or family gatherings that everyone will enjoy not just us low-fat WFPB folks! Definitely Hummus, Sauces, Spreads, Gravy and Salsas. So many ways here, I’m sure, to add even more flavor to already delicious dishes. Hummus!! I like making my own, but it never seems creamy enough to match store bought. I’d love to win this new cookbook! Breakfast is the biggest challenge at my house. While I’m happy with overnight (or 1/2 hour) oats, my teen son gets bored. I’m interested in seeing what easy, fast breakfast ideas Anne and Jane have in their book. Appetizers and Sides!!! I’ve been plant-based for over 3 years now so I’m pretty good at the other categories. I’d love more appetizer and side ideas to bring to pot lucks. Well soups will definitely help. I love soups, But I would use every section of the book. I love new ideas and to try new recipes. Hummus! Whole Foods has stopped carrying Engine 2 hummus (for now they say, until some packaging feature is fixed) and hummus makes me eat more sticks o’ veggies! Thanks for the contest. Here’s hopin’! I could always use more dinner ideas. (Hummus comes in a close second. ) Thanks for offering the give away. Gravy and sauces. I love potatoes and eat a lot of them. I need more variety in the toppings. Soups (and stews) because they’re comfort food, easy to share and I can use my Vitamix more often. I would like more dinner recipes because I do not have enough variety. Thank you! I would like to enhance my kitchen with soups and stews! So comforting in the winter, yummy in the summer with fresh vegetables, and portable to take to work. Certainly would help me stay on track! I could always use new dinner ideas! Raising 4 kids this way means lots of dinner! Im a LOUSY lunch eater – 🙁 if I am busy, I will skip it all together which I know is not good! Or I will grab something on the fly at work ( crackers – something just to stop the tummy from growling ………… ) If I could come up with some yummy healthy meal ideas for my lunch box I would be so very grateful! WOW- lunch- what a concept ! I would like some change up in the breakfast category. I eat overnight oats and pancakes. There has to be other yummy easy morning foods! Right!?! Salad dressings and sauces – because I’m always looking for more yummy ways to get more greens and veggies. Breakfast, for sure – because I am in a rut and have learned that what I choose to eat early in the day has a big impact on how I continue to eat throughout the rest of the day. Lunches! I am in a rut for pack able lunches that I can make “in bulk”. I’m need more ideas for lunches and desserts. With a busy family and two children these are two areas that I need help with! Definitely breakfast! I get tired of having the same thing everyday (oatmeal with fruit). Wow! I would love to win this book for ALL the recipes but one category I choose is lunch. I tend to have the same thing for lunch and dinner. It’s boring for me because I always want a “new” meal and not a leftover from last night. Help! Appetizers and Sides! I am always looking for a great appetizer or side dish to serve at gatherings. I’d love to have more breakfast ideas, as well as salad dressings. I love oatmeal but just don’t feel like having it every day. I would turn to the Dinner section right away. I enjoy trying new recipes and would love to expand my entree choices! My family loves Indian food.so I am always looking for plant based curries and dahls. Finding tasty delicious breakfasts would be so helpful! I need lunch ideas and maybe “menu planning”. I know that menu planning isn’t in the table of contents but that’s what I seem to look for in my vegan cookbooks. It’s hard for me to pull it all together, three times a day. Dinners…I need more ideas for healthy dinners! This book sounds great! I can’t wait to get my hands on one! I would say that the chapter on gravies is where I’d like some new recipes. I develop a lot of recipes on my own, but gravies just seem to lacking in my recipe book. Although ANY of the chapters from Ann or Jane will be delicious to dive into — if you know what I mean! Those ladies know how to create some delicious and gorgeous dishes! I love Rip’s latest book, My Beef with Meat and the recipes in there! Yum!! Gravy and salsa because we put it on everything! I need help with dinner ideas! All the recipes sound great and I could use them all, but dinnertime is my biggest problem. I would so love recipes for breakfast. I currently eat leafy steamed greens (mostly kale) most days and I may switch one day for some oatmeal with blueberries. I have to report back to Dr. Esselstyn is 4 weeks so this would really help me tremendously. I really need anything associated with dinner, as this is the only time we eat together. I have a teenage boy I am trying to win over with this way of eating. Breakfast and lunch for dinner is done quite often too. Soooo, all of them. Thanks for all you do. I would look first at the hummus and salsa chapter. Thanks for making this drawing possible, Lani! Salad dressings and sauces is my need! I refused to eat veggies as far back as they were introduced to me (I know because it is in black and white in my baby book!) It wasn’t until a few years ago that health issues forced a change (I’m 49 now). I started with cooked veggies hidden in dishes, but just couldn’t eat a big plate of raw salad (yuck!) until a friend served a salad with a wonderful homemade dressing tossed into it. Hey!..this isn’t so bad…! I would love a whole chapter of dressings and sauces to help me increase my veggie eating. Breakfast. I could use some additions. Seems there are so many choices for the other categories. I could use some help in the breakfast department. I eat the same two recipes over and over and over. Another one or two easy recipes would be a great addition. Also I am always scouting out new dinner options. Can’t wait to see what this book has in store! Salad dressings. It’s more difficult to get my greens without a no-oil salad dressing I love. I haven’t cared for any of the tofu dressings I’ve tried, and the too-vinegar-y dressings always leave me feeling unsatisfied and that I need to eat something of substance afterwards. I know. Weird. But true, just the same. I would really like the section about lunches. I brown bag everyday and I am in such a rut. Dinner. We are always looking for new ideas. This looks scrumptious! Thanks so much, Lani, for sharing the news and for this great giveaway idea. Sandwiches. Tasty and fast. I am stuck on peanut butter and banana. I need easy, quick ideas that taste really goo! Quick and easy breakfast ideas for before work. That black rice dish looks delicious, too! I think I need ideas for lunch….I eat the same boring salad every day, and am never satisfied by it!!! So, watch out when I get home from work, I am bored and ravenous, and I lose all control!!! Salad dressing recipes would be great for Summer! Soooo excited about the new cookbook!! I’d love some new side dish ideas as I keep going back to the same things. Love that it’s an extensive cookbook covering all categories! Dinner…isn’t this question sometimes the most difficult? What’s for dinner? Simpl easy and not too many ingredients. Dinners that can be leftovers for lunch! I definitely need new ideas in the dessert department. Ever since my husband was diagnosed with Type 2 diabetes, we miss eating dessert. Yes, we make Dr. Esselstyn’s banana ice cream and love it. But I would like to expand my repertoire of healthy desserts. Dinner. Since my husband and especially my friends are not vegan, I would like more ideas for delicious and healthy vegan dinners which they might find yummy enough to ask for the recipe. It will definitely be desserts. I’ve recently given up sugar (again)and am terrified of desserts. I know that I need to have a repertoire of healthy desserts at my finger tips because I’ve been here before and have totally lost my way because I delve into commercial desserts. Once I do that, my healthy lifestyle always seems to rapidly degrade. I’m not sure I could just pick one category. Always looking for new ideas and pictures say a thousand words so I’m sure just looking through the Jane and Ann’s cookbook it would intise me to try something. If I must chosoe a category I would say soups as I love them on cold winters day however I don’t have much variety in my personal recipe collection. I pretty much just wing most recipes. Salad looks good. I need lunch ideas I am in a rut and need new ideas for lunch. Sauces & gravies. As other starchvores have mentioned, we need something to put over our taters and veggies. Mary McDougall has a few great ones, so hopefully Ann and Jane have some, too. I am in need of ideas for lunches for the office and definitely dressings. I’m interested in new appetizer recipes that I can bring to work for birthdays/holidays to show my co-workers how delicious plant-based eating can be! What I need are some new ideas for cold lunches that travel well! Maybe the section which includes spreads would also give me some good ideas. I need new ideas for quick and easy lunches to take to work with me. That is where I get stumped. I would choose the Hummus, sauces, spreads, gravy, and salsas category. It is always easy to put together plant based meals, the challenge is changing the flavor combinations. Breakfast, Breakfast, Breakfast! I wind up eating the same things I eat for lunch and dinner all the time for breakfast. Nothing wrong with that, but I find myself craving to eat and share with my guests comfortable breakfasty things, like muffins, waffles, potatoes, scrambles, etc. etc. Need input!! 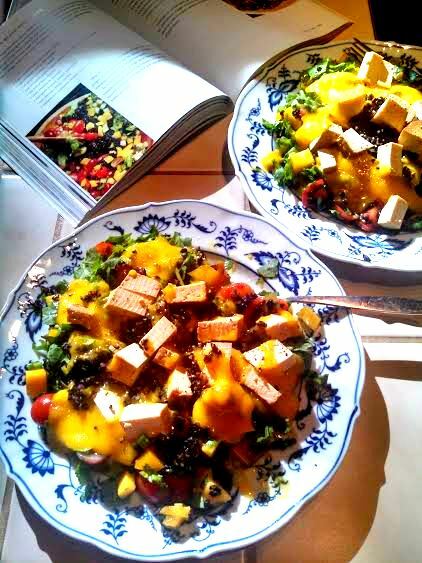 I would like more dinner recipes, because it would help me to help my husband in transitioning to vegan. He likes several of the dishes I make, which made him willing to try. But the more variety I can offer the less likely he will be to start craving his old foods. Salsas. Definitely Salsas. I like to spice things up, and a great salsa can perk up any meal. It’s summer in NJ, and that means tomatoes, lots of fresh tomatoes, other local veggies and of course, sweet corn. And peaches. Making myself hungry! I would choose lunches. I’d love some new ideas on a healthy lunch I can take to work. This cookbook and pictures of finished recipes looks very appealing. Looking forward to trying many of the recipes that are gluten-free, vegan and mostly raw. I’m looking forward to new recipes in all the areas, but I’ll definitely turn to the dessert section first. I get excited about healthy, plant strong desserts! I cook on the weekends to simplify my work week. I am looking forward to more dinner ideas that will also travel in lunches. Thanks for offering the chance to win this cookbook. I’m on the pre-order list at Amazon and looking forward to using the recipes in the future. I need hummus recipes. I use hummus to make salad dressings, spreads, gravies. Having a variety of delicious hummus recipes would be such a help. I would be excited to win the cookbook since Ann Esselstyn keeps recipes simple without too many ingredients or steps. She is a terrific role model! The section on desserts would be most welcome since a lot of times we are asked to bring dessert to a party. Fresh fruit is excellent but I receive looks like that’s a fruit salad not dessert. Also, most other plant cookbooks use agave, maple syrup or other sweeteners which I assume this cookbook would not. Dinners! I always need new, tasty (and easy!) recipes! Thanks so much! Yum, I really need new sauce ideas, I am ready for new flavors i. That department for sure. I need new dinner ideas…. I’m pretty satisfied to keep repeating the same old standbys that I like, but my hubby is bored with the food…. he really needs to be eating right, because he has heart and lung disease and a brain tumor. always looking for new, healthy cooking ideas, particularly breakfast. Desserts! I always make cookies. Need some new (vegan) ideas. I would definitely say Breakfasts! I have eaten (and loved) Rip’s Big Bowl for breakfast for about two years now since attending the immersion at the Esselstyn Farm. I would love to see what creative and delicious breakfast ideas the Esselstyn’s have come up with now! Salad dressings! I still need more ideas. I am interested in everything that keeps my heart healthy. If I had to narrow down an area it would be salad dressings. Veggies and salads are always part of both lunch and dinner. Having more yummy dressing options would be wonderful. Thank you for letting us know this book is coming! I would like to see a sauce and dressings section. I really enjoy steamed veggies and some over the top sauce recipes would be be a tasty addition. I can think of a couple areas I would love to have some new inspiration but the first that comes to mind is breakfast. As I would most like to be starting the day in a great yummy and healthy way! I would like to see breakfast ideas. Sometimes miss out when running out early. I need ideas for sauces to add variety to my dinner. I eat a completely plant based diet but it has become very repetitious. Information on creating some new salad dressings to enhance the taste of healthy, nourishing salads would be a tremendous asset. Desserts! I have a sweet tooth and am always looking for healthy options. Def.. Sauces and dinners!!!! Both would help make my life easier with such picky kids. I am curious about the salad dressing section. I’ve tried a few no-oil dressings that are just ok, but nothing has wowed me so far. And I’m always looking for more dinner ideas as my lunches are often leftovers from dinner! This sounds like a fabulous cookbook! I would say that I am lacking in tasty, nutritious sauces for meals. I think spices and sauces can really take a meal from good to amazing. My husband can eat plain beans and rice for weeks, but I need more variety. I need a lot of help–but I guess I would pick breakfasts as the category. I need a “cold” breakfast that I can pick up and go with. Thank you. I need help with breakfast and salad dressings. Actually I just need help period!! I am so excited about this book! I love trying new recipes that I don’t have to adjust due to the oil or other ingredients we avoid. I am looking forward to new and creative sauces to add to my meals. I think sauces can add such a fun flavor profile to healthy plant-based meals. Soups & salad dressings! Bet this is a great cookbook! Wow, hard to pick just one category when they all would be so helpful! I guess I would have to say sauces, gravy, spreads, etc, would be the most helpful, like others have said, to add flavors to the starches and change up some things that need some variety. You can have the same ingredients but a sauce can completely change the flavors. Thanks so much for the great contest! I will say dinners,but honestly i could use new ideas in all areas,especially since i am now dealing with both heart issues and possible Diabetes type 2,all of which i found out this last week. this books would literally be a life saver for me right now! I would love to have more simple lunches. I hate to cook so if I don’t have something quick I tend to just P&J. Lunch ~ Especially being Gluten Free now too, always trying to figure out what to have???? Usually my hungriest time of the day. Hummus! I’m always looking for no oil hummus recipes. I eat it most days. I would like more appetizer and side recipes. Always looking for new things to bring to pot lucks or work parties. I am in a breakfast “groove”, also known as a rut…I would like to find filling, gluten-free, nutritious alternatives for breakfast that I could share with my husband. He is NOT fond of oatmeal, in any way, shape or form! Thanks! Lunches. I really need lunches that I can take to work! I’d love some new ideas for packable lunches. I love banana and almond butter sandwiches, but I’m trying to add some variety and could use some inspiration! Also wouldn’t mind having some new dinner ideas too. Lunches, I need to find some good lunches that I can take to work with me. I would love some new plant-based ideas for dinner! I would love more breakfast ideas for the grandkids! Thanks for giving away a copy to some lucky winner. I’d love to win one for my daughter’s family (5 children). They just started eating WFPBNO this summer. I think more leafy greens in my life would be great, and “salad dressings” would definitely help. I am intrigued by a cookbook with a section headlined with one of my household’s staples — Hummus! Yum. I’ll be interested in seeing the sauce recipes. So many plant based recipe creators use nuts in their recipes, and I’d like some alternatives without nuts. Hoping to see some! I think that desserts is the catagory I most need help in. I can figure out plant meal options, but my desserts ideas are very limited. Thanks for this drawing opportunity! The category with hummus and salsas. I still buy them and would love some inspiration to make my own, fat free hummus and different kinds of salsas. For me, the category where I need more help is salad dressings. I just don’t like most of the homemade fat-free ones I have tried, and this leads to making and eating fewer salads. Appetizers! We occasionally entertain and I need some ideas for appies that my friends and family would eat. I usually just make stuff they like. I’d like to find some recipes for stuff I can eat but that they would like too. I am very interested in ideas about what to eat for breakfast! I get up early and must be quiet. I don’t love oatmeal:( I need something I can eat in the car ! I was thinking desserts, because it does seem hard to make good plant based desserts, however my 15 year old daughter needs great ideas for lunch to take to school. Perhaps some great quinoa salad type things to pack in her lunch so she does not resort to the same old pb and j! Appetizers and sides. I am pretty good at a main dish. I don’t often do dessert anyway. I am always looking for good, easy snack food. Truthfully I could use it all. I am looking forward to trying new salad dressing recipes. Also looking forward to hummus then appetizers and dinner ideas. See I could use it all. Lunches. I need lunches for the lunchbox that don’t need refrigeration or rewarming. Definitely salad dressings. I was originally using flavor-infused vinegars, but after about 7 or 8 months, I found myself getting tired of them. For a while, I tried salsa, but that hasn’t excited me all that much. Commercial fat-free dressings are too high in sugar. So I really do need better ideas in the salad dressing department. I would say soups. We rely on soups at least 4 nights a week and I can always use new ideas. It would have to be salad dressings. Always looking for new and delicious ways to dress salads. Thanks! Lunches – I so often have trouble finding time to make a healthy lunch. New ideas will be very welcome. New accompaniments to my current recipes will make the whole meal seem new! Hummus for me. It is my favorite lunch and snack and I’m always looking for new recipes. So excited for the new cookbook! I will be looking at lunches first, variety is the spice of life! I would especially love the section on dinner recipes. I often have family members here for Sunday dinner and would love to dazzle with them with some new vegan recipes. I think they are getting bored with my old vegan standbys. It is hard to pick just one category:). So, my top 2 are main dishes and desserts. Need ideas for main dishes. This is new for me, so my main dishes so far are repetitive and narrow. Also need some good dessert recipes. I frequently am asked to bring desserts to family gatherings. I am looking for some new appetizer ideas. I tend to stick with hummus and baked tortillas or pitas, but I’d love to try something new. Thanks for the chance to win a copy of this beautiful book. I need dinner ideas that my non vegan husband will like so I don’t have to cook separate meals and he gets a great tasting healthy meal. Desserts are also good to entice him to a whole foods plant based diet! I need some salad dressing recipes – Mine are made with too much oil. I’m always looking for new recipes for everything, but I could use some easy lunch ideas. I eat pb&j too often when I have no ideas or time. Come to think of it, I eat it for breakfast if I have no time as well. L am constantly looking for new recipes to try…it doesn’t matter if the recipe is a “breakfast, lunch or dinner” recipe. I’m not a traditional breakfast foods for breakfast, lunch food for lunch, etc….if the dish is a whole food plant based dish, it doesn’t matter what time of day I eat it. The Esselstyn’s new cookbook would be a treasured addition to my collection! Dinners because I have become a “junk-food vegan.” Oy!! I rarely take the time to make a good “from scratch” dinner and tend to go with the quick frozen pizza or mac and cheese (gluten-free and fake cheese) microwave stuff. Help! I need more recipes for desserts. My meat eating friends don’t believe that it is possible to bake great tasting desserts without butter and eggs and fake ingredients. Breakfast (quick and easy to get my kids out in time for the school bus)and healthy lunch box ideas would definitely be welcome in my kitchen! I need dinner ideas for the veggie eater still carnivore in mind family. They are bored of my casserole type dishes and want to have something that reminds them to the old days meat + side dish combination. I could use help with salad dressings. I may make a healthy salad but then I pour an unhealthy dressing over it. Help! This book sounds amazing! I definitely need help with all of it, but dressings, sauces and gravies would be the most helpful, so I could top greens—hot or cold! I would love help with healthy lunches that I can pack for my husband. After 36 years, I’m not sure his favorite PB&J sandwich is nutritious enough. I could really use some breakfast inspiration. Looks like a beautiful book. We eat a lot of salads and I’d love some fat-free salad dressings. I’d also like some hearty dinner recipes that don’t take a long time to prepare. Soups for me…. I love them and make them in large batches to eat and freeze. Desserts and dinners so I can wow my guests on how great this way of eating is. For me it would be dinner – I would love some healthy dinner options. Soups. With fall coming, it would be nice to have some new ideas. Also, most soups freeze well, so with busy fall schedules, there is something quick to pull from the freezer for a meal. I need quick but healthy on-the-go breakfasts to get me to work on time – also healthy desserts. Thanks! I’m a big fan of the Esslstyn Family and looking forward to more great recipes from Ann and Jane. A cookbook of their own is a wonderful idea. Always looking for more ways to cook veggies without oil! I need salad dressings and sauces to help change up salads and main dishes. I need some ideas for cold lunches and dinners. My husband is having knee surgery in a couple of months and the hospital can’t work with us on food. I need to send things that don’t need to be heated for the surgical floor fridge! Would love this book! Salad dressings. I try hard to eat raw veggies every day and sometimes it is difficult to come up with dressings. Salad dressings. I’m always looking for ways to make great tasting oil free dressings and the first book Prevent and Reverse Heart disease did not have enough variety for me. I’d welcome more ideas! My goodness! 200 entries and we still have a couple of days to go. Thank you everyone for your enthusiasm, you’ve made it all that much more fun! As for me, I think I’m making the Gorgeous Black Rice Salad again for dinner tomorrow night – it was THAT much of a hit! I would love more salad dressings and sauces — I love salads but really like to have good dressings to add some kick to my salads ! dinner! always a challenge, especially since my husband isn’t yet sold on plant-based, but he’s open to good food so new ideas are always welcome. thanks! With today’s busy lifestyle, One pot meal such as a bowl of leafy greens with a rainbow chunks of raw veggies and nuts and seeds, topped with some cooked black beans is always a favorite of ours. Fast, easy, no cooking involved, fresh and healthy! I need a variety of salads. Dinners and sauces/salad dressings. I’m in such a rut after a few years of doing this that I’m starting to waver and my heart can’t survive my going back to my old way of eating. I need some inspiration and some new favorite dishes, I’m just getting sick of everything I’ve been eating the last few years and I’m in a rut. I would have to say sauces for greens and salad dressings. Thanks Lani! Soups and Hummus, sauces, spreads, gravy, and salsas! Soups will be great for the fall season and the rest to make my meals more interesting. Oh…so excited to see this new book! I would say that quick and easy dinners would be first. Sometimes I get home from work and have no idea what to fix with a hungry family waiting! Second would be good package,lunches for me to take to work. The black bean salad looks awesome!! Side dishes and appetizers as I am always struggling with what to serve company. I sometimes find it easier to make several dishes in hopes that everyone will find something they like. Wow! Where to start…I know the recipes will be fabulous as they always are, but I’m particularly excited about salad dressing and hummus recipes. I know there are tons of hummus recipes out there already, many of which contain oil, but my philosophy is that you can never have too many hummus (or smoothie) recipes! Thanks for sharing! I need breakfast ideas! I am bored with a smoothie every morning. Looking forward to this book! I would like dinner ideas. I cook vegan meals for my family at least once a week and could use more recipes that my kids (4&6) will eat. Definitely dinners! I manage with healthy breakfasts and almost always pack up a healthy lunch to take to work. but getting home for dinner – when everyone else eats ‘regular’ food (that I have to prepare for them – it’s really hard to stick to a plant based meal. If I have delicious dinners ready, then I wouldn’t have to cheat! Beautiful! I can’t wait to get my hands on a copy! I love to try recipes in all the categories. Looking forward to the new book. I would love more breakfast ideas. I am not creative when it comes to food, so this cookbook would be great. Thank you. I could really use some inspiration with salads and especially dressings, as well as breakfast foods. My husband of 48 years has a particularly vicious Stage IV Prostate Cancer; he needs the most tasty and eye appealing foods I can prepare which do not take hours and hours in the kitchen. Thanks for the review and the pictures-the Black Rice Salad looks wonderful! The Salad Dressings category – we love salads, but it’s been hard to find a dressing that my husband will use. All of the categories sound delicious and useful, but if I have to pick just one I would say breakfast. I will usually take time to plan and prepare a nutritious lunch or dinner, but generally just grab what’s quick and easy for breakfast. It would be great to have some healthy alternatives to my usual choices. Definitely could use more help with quick and easy PACKABLE LUNCHES for 4 kids and 2 adults every day! We usually don’t have any leftovers leftover from dinner, and wraps and salads get boring! Gotta be breakfast. Gets totally boring sometimes. I would love to learn more lunch ideas, especially wraps or tortilla types. The lunch section because I eat a lot of lunches at work at my desk so to inprove that time of day for me would make all the difference in the world. I definitely need new dessert ideas, I hardly ever made any and they are always the same. I would like more inspiration for breakfasts and lunches. Oatmeal is is our standard breakfast, but it gets boring. Lunches are often leftovers from dinner, but I could use more inspiration for healthy lunches beyond the usual hummus. Thanks, Lani! Yum! I’d have to say spreads, and especially with Lunches in mind – I need more breaks from just salads but still want more “chew” than even the best soups can give me some noons. Thanks for your ALWAYS encouraging and upbeat reminders to live healthfully! Breakfast – eat mostly steel oats and scrambled tofu for breakfast. Would like to have more choices that can be made in bulk. I do my cooking on Saturday for the work week. Also want to start making desserts to satisfy sweet craving. I live in a remote area and feel,somewhat isolated from other vegetarians. I would love some help with my cooking skills in most areas but mainly simple dinner recipes. Thank you! Snacks, please! We always seem to find ourselves foraging around the kitchen for something to munch on during the evenings. We could use some ideas for quick, easy, tasty, healthy choices. Boy, hard question! I Would love a good gravy recipe, but also love new dinner idea’s. However, I think what I find most difficult is bread and baked goods. I cannot have gluten, so good soft bread is hard enough to make,but making it vegan is even more difficult! I have 1 recipe I made up that we all love, but variety is nice! Lunches…I’m a fairly basic stick to the usual salad and apple kind of girl. Need some more inspiration for those work days! Definitely the spreads! We need flavor on our veggies, bread and crackers! Oh my goodness, where to begin?!? – perhaps the salad dressings. I need all the help I can get to stay plant strong. I definitely need help with breakfast ideas. Oh, and the spreads too. This cookbook looks amazing! I need a good gravy and some good, healthy desserts that my omni son will eat. He hasn’t made the change and thinks my “vegan stuff” doesn’t taste as good. Would love to have a copy of the cookbook! I’m looking for dinners. Especially ones that I can host for a date night that’s elegant and tasty. Essentially, ideas for where I can display what a tasty option vegan and plant strong can be–and wow some taste buds in the process! Thanks. Ideas for lunch foods to take to work are at the top of my wish list. I only get half hour to eat so, things that can be enjoyed cold or quickly reheated would fit the bill perfectly. There are simply no healthy options available in the take-out or vending machines we have available and it saves so much time and money to bring lunch from home. I am always looking for new vegan dinner recipes. They can serve as lunch the following day. Dinner, because I never know what to make! I need Appetizers (and sides) for non-WFPB family coming home from work and when others come to visit that are not WFPB. Of course, I love to have more dinner recipes too, (and I LOVE to wow guests that seem to think my WOE is “strange”) but, I struggle with “when company comes” and what I can put out that will appeal to them and not compromise my own WOE. New Hummus recipes would be great. I usually buy my hummus and try to avoid the ones with oils (hard to do). So to have new hummus recipes would be great. I need to find really good, nourishing main meals simply to prevent disease and save my family from unnecessary illnesses. I am always looking for new breakfast recipes! Especially ones that are quick and easy! i would love some breakfast and lunch ideas for everyday meals. Oatmeal gets real old… Also some recipes for company dinners. Seems more and more of our friends and family are ending up with heart problems and we want to make this way of eating enjoyable for them. I’d like a recipe for gluten free muffins for breakfast. I have RA and have been gluten free for a year and a half on the McDougall diet. I need a new recipe. I would love some new recipes in all categories, but especially breakfast. I’m stuck on cereal and oatmeal. I need breakfast ideas. My husband doesn’t like oatmeal. Desserts because I want healthy desserts not ones full of sugar and fat and refined foods! At first blush I thought that breakfast variety is what i want.. but i really want to get new ideas for all our meals! I had a heart attack (and stent) a month ago and I am still trying to change over (I love meat!) to this lifestyle. I need the whole book, but if I had to choose, I’m having the most problems with dinner. Hmmm….hard to pick one category since I love to cook and am always trying new healthful recipes. I would like new recipes for gravy and salad dressings and I would love some new ideas for lunch. Would love this cookbook!!! I really need this to help my breakfasts… My kids are so sick of smoothies and oatmeal!….. Please pick me! I would say we could use some fresh ideas for breakfast. We tend to eat the exact same thing, every single day. How nice it would be to look forward to some great tasting variations. Definitely, HUMMUS, SAUCES, SPREADS, GRAVY, and SALSAS!!! Hands down! My problem is my meals have to have some sort of sauce or else I am not satisfied. But I can never find a healthy solution to my have-to-have-sauce problem!! I would love to get a hold of some go-to sauce recipes that I can use to make all my dishes SCRUMPTIOUS!!! The category I would need most is Salad Dressing because I am eating more and more raw veggies and am getting a bit tired of my old stand-by, half an avocado blended up with any acid, usually balsamic vinegar. I am addicted to hummus and love trying new recipes and variations so looking forward to expanding my hummus adventures! sauces, spreads, gravy, and salsas. I will eat anything with a good gravy or sauce on it. We need help in the Breakfast department! We were the absolute worst with our morning choices, i.e., eggs, butter, milk, sausages, biscuits and gravy, bread made with oils. Oh, my, it makes me shudder now that my eyes are open to the correct way of eating. Can’t wait to see the breakfast ideas in the new cookbook! I would love some new breakfast ideas because we are eating the same oatmeal every day. This would help when guests come to stay with us, too. Thanks so much! I’m new to the plant based diet. I’m finding it hard to make meatless dinners. Im interested in making things taste meaty like for hamburgers. My family is so set on having a meat and sides for dinner that it’s hard to convince them to give this other way if life a chance. Soup season is just around the corner. So I am eying the soups! I enjoy new recipes to try. I look forward to new inspirations! Thank you! Dinner, I get stuck in a rut and need new ideas. Fast, delicious and healthy! I know I’ll find inspiration in the Esselstyn’s new book! I definitely need new breakfast and lunch ideas – especially if they are quick and easy to put together. Sauces/gravies for veggies and potatoes wouldn’t hurt either! Yum! I want to enjoy more salad dressings, because i want more variation to Eat my lovely green leaffy vegetables. I will be thrilled with so many recipes to go with my new diet and lifestyle choices. Dinner. I have a few go to recipes and we are getting so tired of them. Need some new and fresh ideas. Definitely Breakfast. I really need new & creative ways to go from boring to a great Break-Fast. I am in dire need of breakfast ideas. Quick and tasty and lots of sustained energy. Breakfast – because we are new to eating a plant based diet and our breakfasts used to be eggs, eggs, and more eggs. Lunches that I can bring with me to work! Salad dressing — something more interesting than the simple dressing I use at home to use on the salads I take to monthly Silver Sneakers exercise group’s monthly potlucks. Lunches, so I can make healthy things to take on the go. For the contest entry: I am always looking for good appetizer recipes that travel well. I’ve been the appetizer person at family gatherings for years, and it’s been a challenge to find things people will like now that I’m eating so healthily! On the other hand, I’ve lost almost 30 pounds in six months and the next holiday should prove to them how it’s working! I am most interested in lunches, especially with brown rice or some kind of potato, since I tend to eat lots of meals based on rice or potatoes (per Dr. McDougall). I need help with easy, yummy sauces. I make all kinds of great vegetable combos, but my boyfriend always wants to add BBQ or soy sauce and complains that there’s nothing to bring it all together! I’d love an Essy-perfect cookbook!! I would have to say..dinner. Since we are transitioning from vegetarians to vegans..I need more fresh ideas to keep us on the right track. I worry that without interesting alternatives..our willpower will not be able to withstand the challenge. I feel as though I have fallen into a rut and I have young family in my home that I want to keep satisfied(18..5 and 13months. We need more dinners… so we won’t be so tempted to eat out! I would like more recipes for breakfast & lunches…especially ones that my kids will like since they are quite picky. Dinners because you can never have too many ideas for dinner too try. I would love more plant-based dinner ideas that would satisfy my hubby’s hearty appetite. He finds it easy to be plant-based for breakfast and lunch, but come dinner time he wants something really substantial and is growing bored with my limited repertoire. I work most nights until 6 or 6:30 and would love to find some healthy dinner recipes that are quick and low-maintenance, but still tasty and filling. Can’t wait for this new cookbook!! My original Prevent and Reverse Heart Disease book is well worn and loved. I would like more recipes for lunches to keep my husband on track although he loves potatoes and gravy and the gravy recipes in my current cookbook are requested often. So I welcome those recipes also. I would love some salad dressing recipes. I travel for work (I do corporate health screenings) and often eat out with my co-workers. It’s sometimes hard to find something oil-free and plant based, so if I had some salad dressing, I could eat anywhere with them. Thanks! The breakfast chapter would be a big help for me. I’m stuck in an oatmeal or cold cereal rut! Hummus, sauces, spreads, gravy, & salsas are areas that I could use help in. I’m forever looking for different recipes online to help me provide some variety in my family’s diet. The recipes in this book look so tasty that I can’t wait to try them myself even if I have to purchase the book. Hummus, hummus, low fat hummus. I love sandwiches and need wonderful hummi ( ?) to go with them! I must make the Dr. Seuss Stacked Polenta on the cover of the new cookbook. Just returned from an event at the Esselstyn’s farmhouse, and I was so inspired by their creative dishes! I definitely need dinner recipes. We are transitioning to vegan meals. This will definitely help my autistic son. He has diabetes, high cholesterol, and high triglycerides. Our doctor wants to put him on statin drugs.I’m trying everything I can to lower the numbers. I’m interested in finding new lunch ideas. I’m usually tired by dinner, so it’s time to find better energy foods mid-day. The photo of the salad looks divine, so I will start right there with the Gorgeous Black Rice Salad. Would love more ‘whole meal’ salads, but would also love Jalapeno and Salsa Corn Muffins-can’t even remember the last time I have had corn muffins! Gingerbread Biscotti since I haven’t had any in over 3 years! Breakfast recipes would be great too, since I tend to not focus enough on that meal. 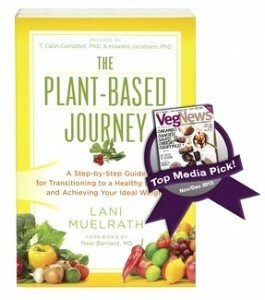 For me the question is really, what wouldn’t I like in recipes that are truly heart-healthy plant-perfect? I want it ALL! I definitely could use some more guidance when it comes to sauces. I like lots of plain veggies but it would be nice to have more sauces in my cooking arsenal. Salad dressings. I have gotten used to eating salads without dressings because I cannot find good healthy ones. Breakfast, as a meal could use a new addition to my kitchen, not just for me and my family but for my patients. I am a critical care registered nurse working in a low socio-economic area in south central Texas where heart disease, coronary artery disease, renal issues and diabetes are issues my patients struggle with constantly in my world. Especially since the majority of the population is over worked, underpaid and under educated it is difficult to drive home the concepts of proper nutrition, and when they see a healthy young guy trying to tell them what to eat they become discouraged or put up a wall and the unfortunate cycle typically continues. I could really use nutrient dense breakfast ideas that I can pass along to help break down these barriers and share with my community and of course myself and my family. Breakfast really is the most important meal of the day from a physiological sense, and especially for people that may not have the opportunity or resources to eat a healthy lunch when they are “out in the field” pushed by external sources to make poor meal decisions. I could really use some new breakfast recipes for myself too! Some cookie recipes would be nice, under Desserts. I haven’t tried to make vegan cookies yet, and I sure miss cookies! Lunches! We need ideas other t han the ubiquitous hummus wraps and dinner leftovers. Correction: Sometimes it IS hard to find replacements for favorite recipes. Thanks again! I would like to see more spreads and dinners. 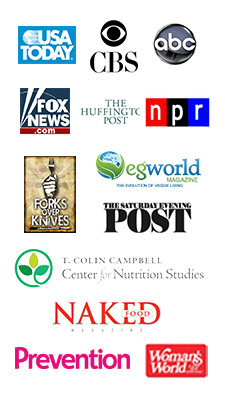 I’d love some new dinner ideas to keep my husband interested in a plant-based diet. For myself, I really need those yummy and healthy desserts to satisfy my sweet tooth! Thanks so much! I am always looking for new lunch recipes. Something filling enough to hold me over until 5:00 and help furl me through my sfter-work workouts. I would love ideas that pack well for office and school lunch boxes. Also, food in all categories that appeal to kids or others resistant to the dietary changes that mom is trying to make for the entire family. We don’t want to end up having the same heart surgeries and attacks as my mom/their grandmother. I’m really looking forward to the desserts section of this cookbook – I always find it hard to find dessert recipes with no oil, and it’s so nice not to have to make substitutions! Sauces, Spreads, Gravy, and Salsas, Appetizers, Sides, Salad Dressings, Dinners and Desserts. I love heart healthy Vegan recipes and I love cooking for my family. I love their reaction to learn the great tasting foods they have enjoyed are healthy for them too! Excited about the dessert section. Need ideas to take to pot luck dinners. I’ve made a lot of vegan desserts that have been less than exciting. So getting some new dessert ideas that I can bring to get togethers/celebrations would be great. I would love more soup recipes!!!! Soup is my all time favorite go to! Hi, I need help with everything. As a new vegan I’m struggling with every meal and living on fruit whilst at work. Family friendly meals might help as though my wife is vegetarian the kids aren’t. Definitely desserts – I love to bake and really miss my delicious non-vegan coconut cream pie!!! Hope there is a good substitute for desserts! Dinners! Being two nurses with crazy schedules, we need help staying on track when we are in a hurry! I could use some more salad dressing recipes, since I’m really trying to up the fresh vegetables in my diet! Family friendly meals are a welcome addition. Trying to get my family more interested in a plant healthy diet. Definitely breakfast, because I am always at a loss for what to eat for breakfast. for me deserts- I make them SO seldom- I need to start indulging!!! Hubby and I are new to the plant based diet. I’ve been using Dr Esselstyn’s “Prevent and Reverse Heart Disease” and “Forks Over Knives” for inspiration for about one month now. My dinners need to include more greens somehow without being too spicy. Hubby doesn’t care for spicy. Can’t wait to see Ann’s collection of recipes. My cholesterol is 306, so I need to keep serious on this. I am always looking for new ideas for dinner and sauces! Could definitely use new gravy recipes for a change of pace. And crowd-pleasing appetizer/finger foods for get-togethers, picnics and potlucks would be a boon! I would love to have more ideas for salad dressings and sauces. Sue, well what perfect timing! I’m putting together a download with 7 sauce recipes that we didn’t have room for in The Plant-Based Journey. It will be a bonus gift for preordering a couple of copies of the book. Are you getting my newsletter? It will all be announced soon! This time of year I love to try new salads. Otherwise new diner ideas are what I look for most often as I get in a rut.